In a world absorbed in social media, selfies, digital personalisation, live streaming and ‘stories’, it is reassuring to have a defined escape route. Knowing how to get a break from the pressure of reaching a record high number of likes, followers, retweets and mentions per day or week. Not to mention any non-virtual pressure such as working full-time, desperately trying to survive on a modest salary in a big city with extortionately high rent and too many bills to pay. 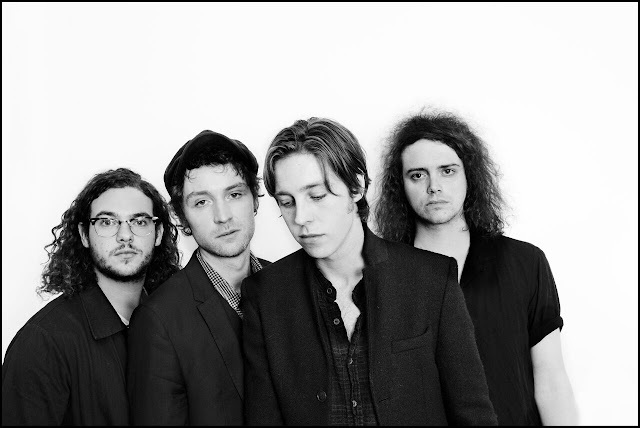 Suggesting that The Blinders represent such a route of escapism, an opportunity to get away from the pressure, is not an exaggeration. 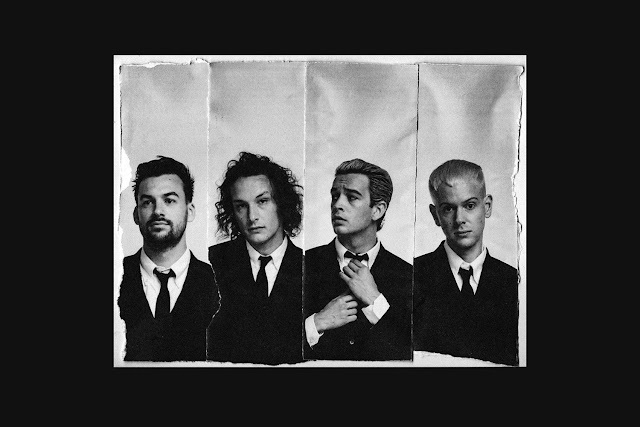 It is interesting to observe how a band can represent something so incredibly timeless and yet be more relevant, topical and more current than just about any other young band out there at the moment. More importantly, The Blinders - Thomas Haywood, Charlie Mcgough and Matt Neale offer their listeners escapism with a reverse effect. In a creative sense, it is a feeling of being forced to face the harsh reality of the political world we live in. To see it for what it really is, is as uncomfortable as it is frightening. The debut album Columbia, due for release through ModernSky UK on Friday 21st September, is a work of deep complexity, consistency, variety and ambition. Comprising elements such as fine classic song-writing, fiction, spoken word whilst elegantly depicting the subject of a social reality, it is obvious that a lot is on display. 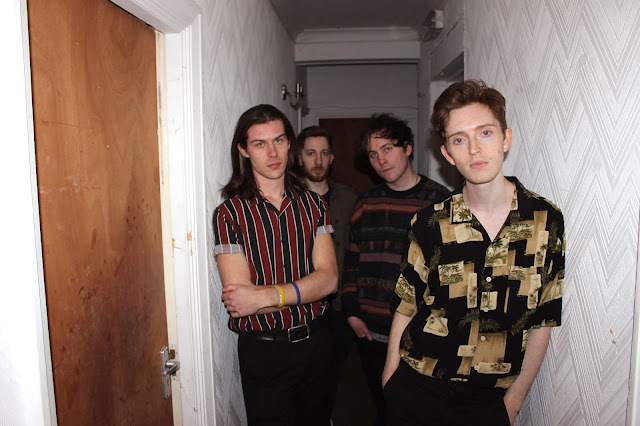 Fascinating and well crafted lyrics continue to be key to The Blinders’music and the band have previously spoken about how they tend to kick off the process of writing songs with the lyrics, as opposed to a guitar riff or a bass line. Anyone who has read George Orwell’s masterpiece 1984 will remember the deep sense of dread that goes along with reading it. Part of the total control zone created by Orwell, the Dystopian nightmare, can be, at least partly, relived through Columbia. 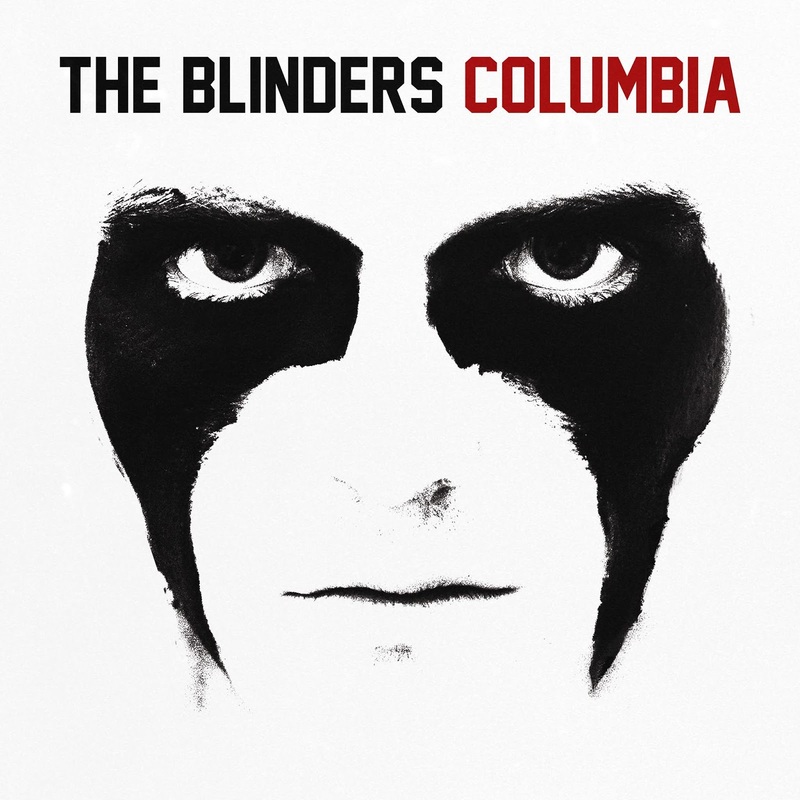 But the Blinders handle that with the influence of strong artistic flair. It is an inspiration throughout without ever becoming a dominant force. The fact that the album is a statement makes it stand out because making statements is not what our modern times are about. Far more emphasis is on creating a series of non-statements, projecting lots of tiny little unrelated gestures, actions or certain behaviours, in that sense Columbia does not look set to be ‘trending’. But this statement, or concept, demands a matching response. 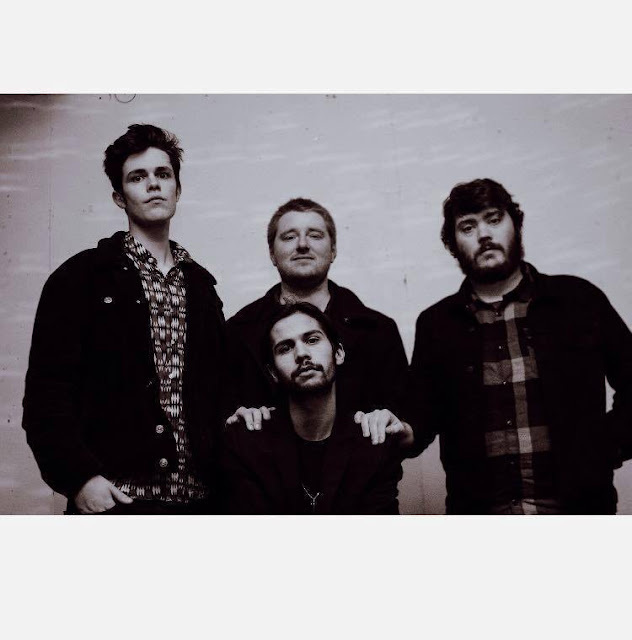 Taking influence from the modern world of today, the band have created a fictional anti utopian world, that works as an allegory for our current political world. It is a look at the bigger picture. The band clearly love literature and fiction and see it as a suitable format for projecting their political views and ideas. One of the overarching literary influences on Columbia is George Orwell's 1984 but the lyrics also echo the likes of Patti Smith, Aldous Huxley and Jack Kerouac. Musical influences range from the likes of The Doors and John Lennon to Nick Cave and The Wytches. Comprising twelve songs produced by Gavin Monaghan at Magic Garden Studio in Wolverhampton, there is a special working relationship in place and it would be good to see that relationship continue well into the foreseeable future because we are talking about a special piece of work. Columbia is a work of sheer brilliance, a rare diamond and a classic modern album. In a brand new interview with the producer extraordinaire given to It’s All Indie, due for publication very soon, Gavin talks about the moment when he received the career changing phone call from a certain Mr Tim Abbott, formerly of Creation Records, who co-manages the band with Paul Fassam. Tim was right to react and take the action to ring his friend, “It just makes sense when you see the whole package, says Gavin, when you start talking to people, you realise they have got a real chemistry as people. They can play their instruments together in a way that is far more powerful than anything that is separate. When the whole makes up something more powerful than the component parts that is always what I look for. If I don’t watch a band live then I like to see action all over the stage, not just a great front person but something special going on everywhere." Multi-faceted, visually striking with a raw, charismatic and theatrical stage presence delivering a close to dreamlike performance, there is an all-consuming urgency about The Blinders that is similar but not identical to, and certainly not seen since one of Manchester’s finest indie bands, the one and only The Smiths were last spotted on the scene. It is a very similar sensation or feeling. By no means suggesting the same sound or influences are displayed on Columbia but there is undoubtedly a similar sense of urgency and as strong an emphasis on lyrics. The lyrics are everything, without lyrics there is no music, The Smiths shared that same quality; an intellectual and artistic priority and integrity. "It was just the raw energy of it and the lyrics, explains Gavin, I am very attracted to lyrics, it is one of the most important things I look for in working with a band, that they have actually got something to say, whatever it is." Skillfully achieving closely matched identities between the recordings and the band's live sound, only serves to underline how special Columbia is. The rawness and the explosive high level energy is captured and is omnipresent throughout the recording, songs such as I Can’t Breathe Blues, Et Tu, Brutus, Gotta Get Through and L'etat C'est Moi demonstrate that very clearly. The scale of the sonic and atmospheric variety on the album is far-reaching; from the Patti Smith sound alike Orbit containing spoken word and lyrics of poetic quality, to the Beatles and John Lennon song-writing quality of The Ballad of Winston Smith, which the band have been performing live acoustically during a couple of radio sessions, to the intense rawness of Gotta Get Through and Hate Song. This is the most important debut album to be released this year and definitely one of the top five. Debut albums do not get any bigger or better than Columbia. 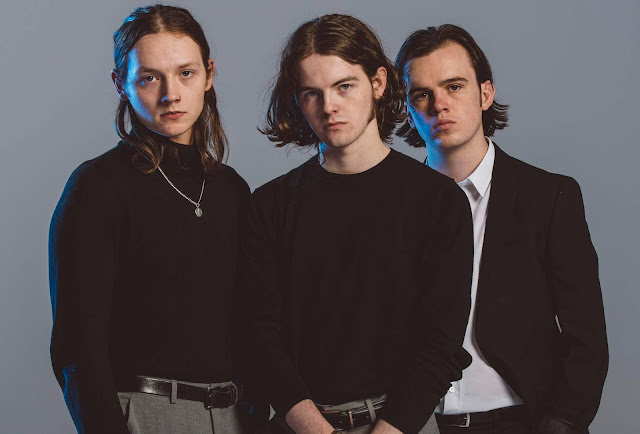 The Blinders deserve to be everyone's favourite band and hopefully it is a matter of time, or a few times of listening to the album, that even more people will fully embrace and come around to that idea.